Bluebeam has had many people request that they transfer the DWG layers from AutoCAD into a Revu PDF. While currently on Revu 12.1 this feature is not present, there is a workaround. 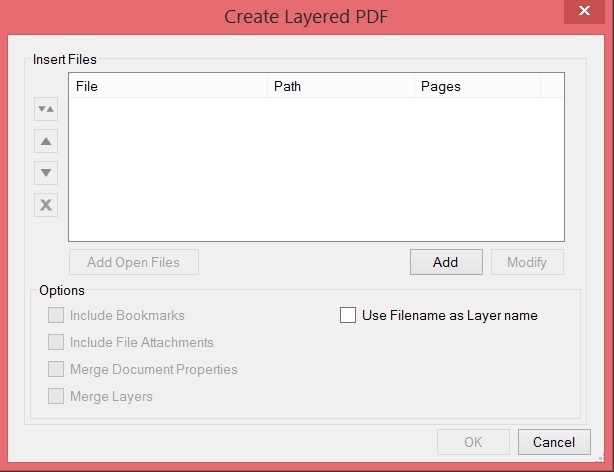 File | Create | Layered PDF which combines all the docs together (make sure to check the box Use Filename as Layer Name). That being said, I did ask the status of this feature on the Bluebeam Roadmap and the reply received was AutoCAD has not opened the layers function in their API. If you as Bluebeamers and AutoDesk customers want it, you need to demand it. Send an email, letter or text message to management, add it to the AutoCAD Wishlist and maybe ask AutoCAD support. Perhaps if they hear from their customers (instead of Bluebeam Software) enough, they’ll add it to their API. I want to thank Clinton Hill for asking me this question as it obviously inspired this Bluebeam Tip. Using DWGtoPDF creates the layers and it is nice Adobe Acrobat-X and Bluebeam produces at least keep and allow display of the AutoCAD layers. A Wish List entry through AUGI may help as well.